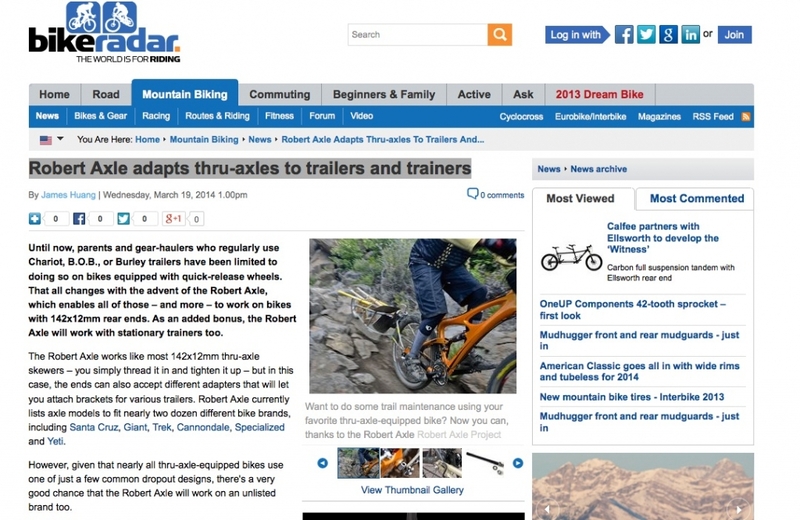 We are happy to see the Robert Axle Project on Bike Radar, one of largest cycling news and reviews website. But we might even more happy that we got to exchange emails with @angryasian! Angry Asian is the Technical Editor for Bike Radar and virtually a household name with people who ride bikes. I’ve done some things that others might classify as “adventurous”, but I can only count a very small number of times that I thought I might die. Mountain bike touring Central New Mexico was one of those times. 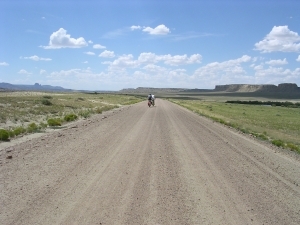 We were riding the Great Divide Mountain Bike Route one summer and we picked up our buddy Jerry in southern Colorado. He was going to ride the last three weeks of our tour with us until we reached the Mexican border. We were in New Mexico in August – Southwest Monsoon season – so every day was a race to stay dry. New Mexico was also one of the more rigorous states to ride through, with consistently high elevation of 8,000-10,000 feet, rough road conditions, long distances between civilization, and scarce water supply. Not many people around in these parts. Notice the pre-evil “happy clouds”. Our last major stop was Cuba, New Mexico and the ride out from Cuba was much how you would expect New Mexico to be – desert, cacti, red rocks and dry arroyos. The two days after leaving Cuba was filled with arroyo crossings, at the time dry, but nowhere we wanted to be in a rainstorm. 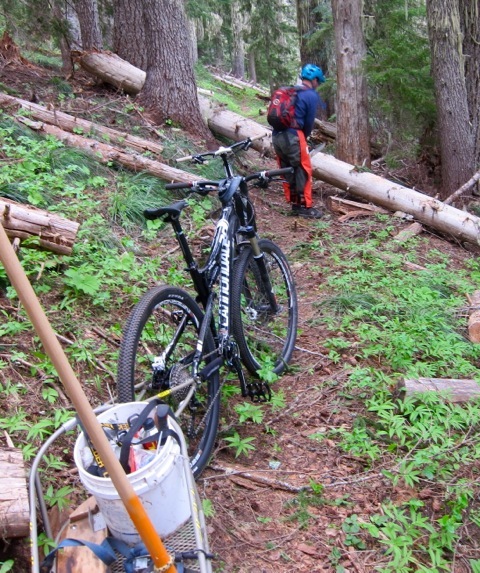 The second day was one of those days when trail magic happens. We had ridden about half of our mileage for the day, about 25 miles, when we saw little bits of clouds peppering the sky. Jerry and I started singing rain songs, which always torched Chris. But there was nothing else to do but ride, look for quick cover, and hope that we could outrun the storms. Within a matter of an hour, the fluffy Bob Ross “happy clouds” turned into angry satanic formations and the huge lightning and thundering rainstorm converged upon us, right over our heads. Fortunately we were in a high spot, so we knew we wouldn’t get washed away in a flood. The downside…we were in a high spot. Not a single tree for miles and miles, but a sea of sagebrush that offered no protection from anything. With the quick telepathy that happens with the people you ride with for hours on end, we all together got off our bikes and jumped in the very shallow depression on the side of the road. Chris pulled out the ever-faithful blue tarp and we hunkered down. Me, my husband, and one of our best friends shoulder to shoulder under the blue glow of the tarp. Funny things went through my head, as I tried desperately to remember what to do in a lightning storm. Stick together? Spread apart? Lay down flat? Crouch low on one foot? No good answers came up. 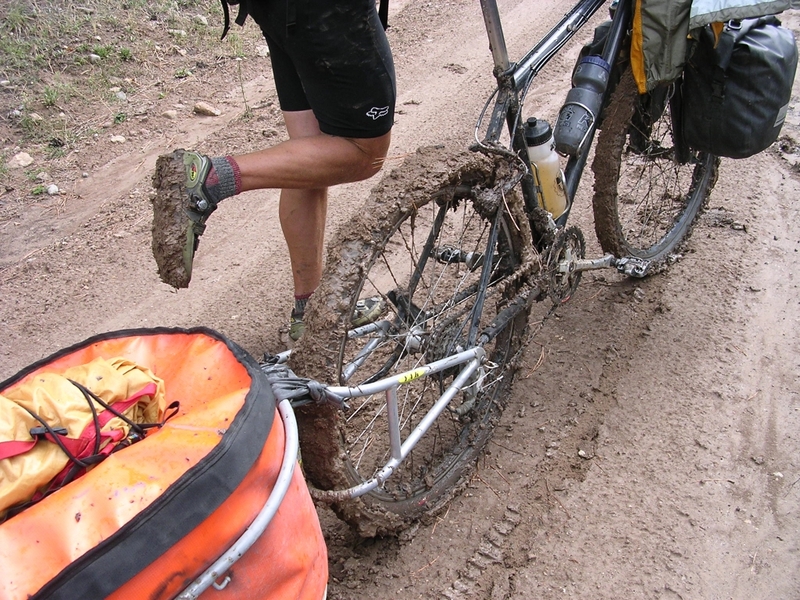 Never, ever try to ride in New Mexican mud. It is a complete disaster. It rained hard while we counted the space between lightning strikes and thunder booms. Jerry would poke his head out of the tarp and yell “three seconds and getting closer!” – an indication of how quickly the lightning was headed our way. Pretty soon we had a river flowing under our feet, and the bikes and BOB Trailers were starting to sink into the mud. It was one of those moments when I knew that my mom would be really disappointed to hear that I died doing something really stupid (sorry, Mom.) Just when we thought we were toast, literally, we heard a rumbling noise. I threw the tarp off to see a black, shiny brand new Chevy king cab pick-up truck in front of us. The passenger couldn’t even get the window down quickly enough before we loaded our stuff into the back and were on our way to the nearest town, Grants, New Mexico. The poor unsuspecting young couple was out scouting for elk and came across us shabby trio. We didn’t care. The truck was warm and dry. Within the hour we were dropped off in a Wal-Mart parking lot to dry our stuff. 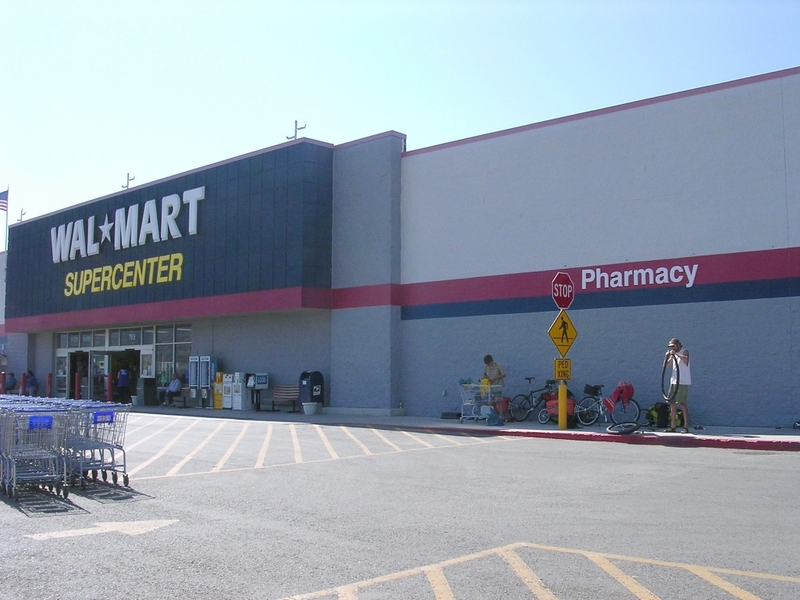 Wal-Mart can be a very beautiful thing on a bike tour. They have Red Vines and salami and Coke and all kinds of caloric wonders for bike tourists. The sky was blue and it was just another beautiful day to ride bikes. You gotta take good luck when it comes your way. We are excited to announce that we have expanded our product line to include axles that will fit other types of trailers beside the BOB Trailer. We can fit Burley, Chariot, Croozer, Extra Wheel trailers and much more. We also added a line of axles that will work with wind and resistance trainers. Learn more about new products by choosing your application here. 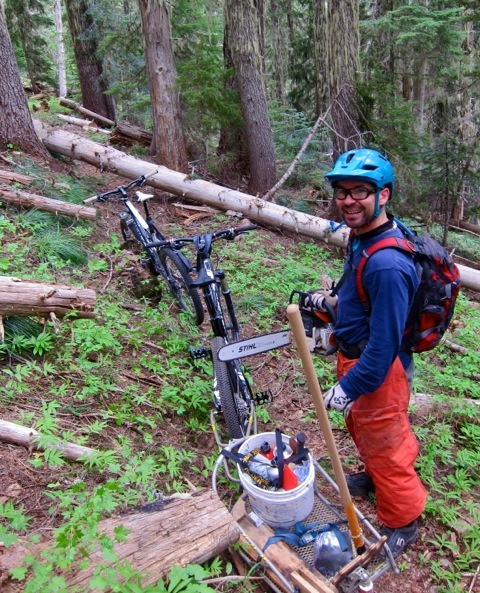 I have been clearing trail with a BOB for years now, and find it is the most efficient way to tow tools to a work area. As the bike industry embraces thru axle rear wheels more and more, it became essential to keep a bike with a QR skewer just for BOB pulling. Now with the thru axles designed by The Robert Axle Project, I can take my nice full suspension bike to do trail work. Easy to install and stronger than the traditional skewer, the Thru Axle is the best way to pull your BOB. Got to fully test out my new BoB setup yesterday. I ordered the Robert Axle 12×142 for for my 2013 Santa Cruz Trc, installed it, hooked up the BoB and cut out a buttload of trees on some very demanding terrain. New setup worked well. Need to tweak the saw /tool rack a bit, but what I noticed is how much stiffer the 12mm rear end feels. Just doesn’t feel like the rear dropouts are going to twist right off like my old bike. Very solid. I will try to get some pics up soon.